Nails 4 Dummies! 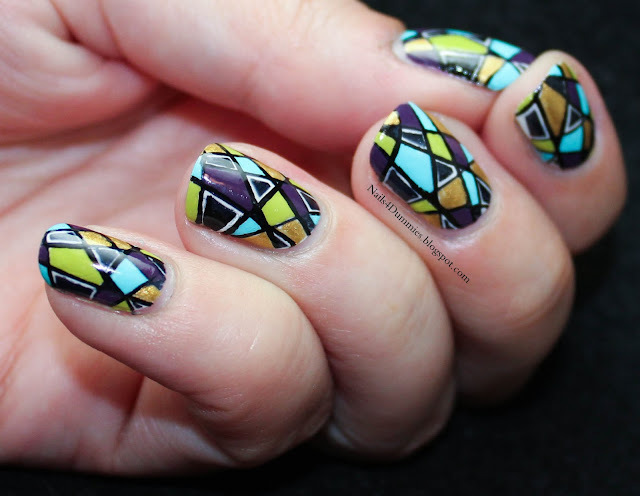 : International Nail Art Day And My 100th Blog Post!!!! 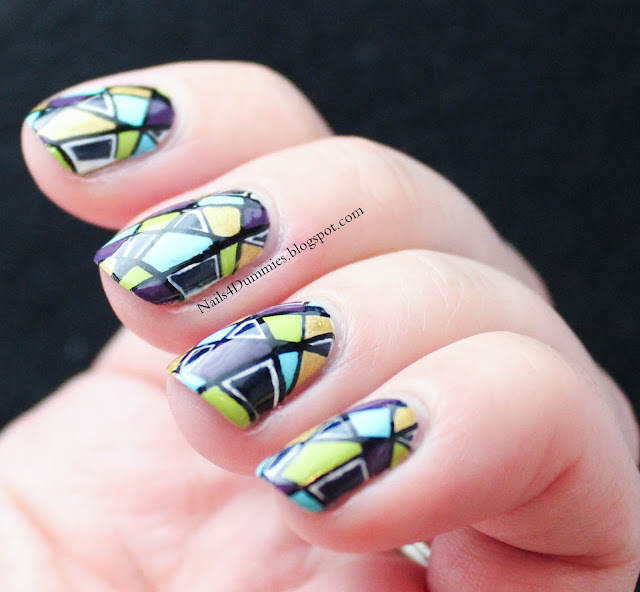 International Nail Art Day And My 100th Blog Post!!!! HELLOOOOOOO! I hope everyone's Saturday is going awesome! As many of you know, today is International Nail Art Day or INAD! I thought it was pretty flippin' awesome that this day just happened to coincide with my 100th blog post so I did something extra special! For this mani, I painted a base of Sally Hansen Xtreme Wear - White on and then stamped over that with Konad black pearl and Mash plate 47. I just got my Konad polish and I'm not sure how I lived without it! It makes such beautiful, clean lines and stamps like a dream! After stamping the image onto my nails, I then went in with acrylic paint for all of the lovely color you see! 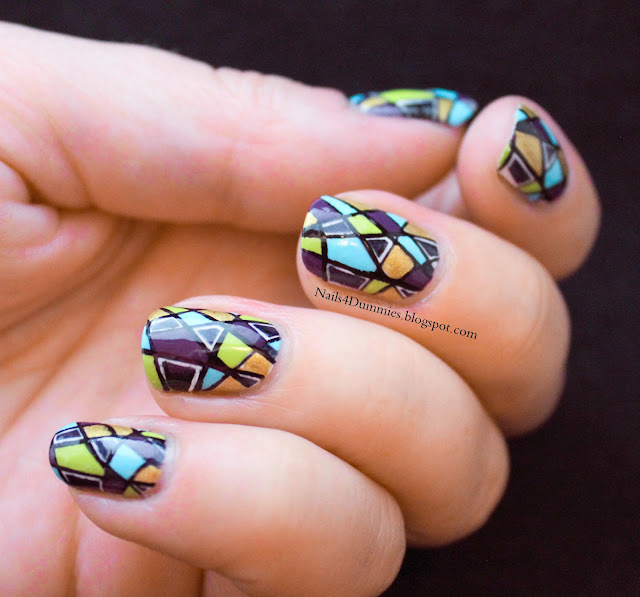 I totally missed INAD :( Love this design and I absolutely love the colors you used! Congrats on your 100th post and may there be many more to come! awwwww this is AWEsome!!! And congrats on 100!! 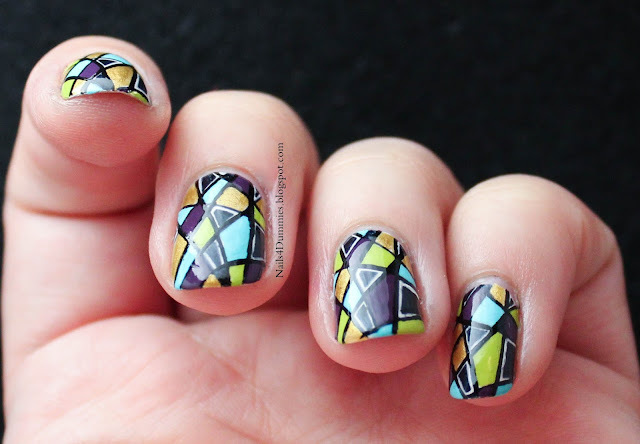 wow this is fantastic nail art and congratulations on your 100th post!